Why do outstanding schools embrace creativity? We have produced a report on the topic of “Why do good and outstanding OFSTED schools demonstrate a creative mind set and an understanding of the importance of creativity?” that should be of interest to anyone working in education today. OFSTED Inspectors, when making a judgement on a school must evaluate what it is like to be a pupil in that school, and increasingly, they’re looking at the whole child, taking into account access to a broad curriculum and different ways of learning as well as the learning outcomes. 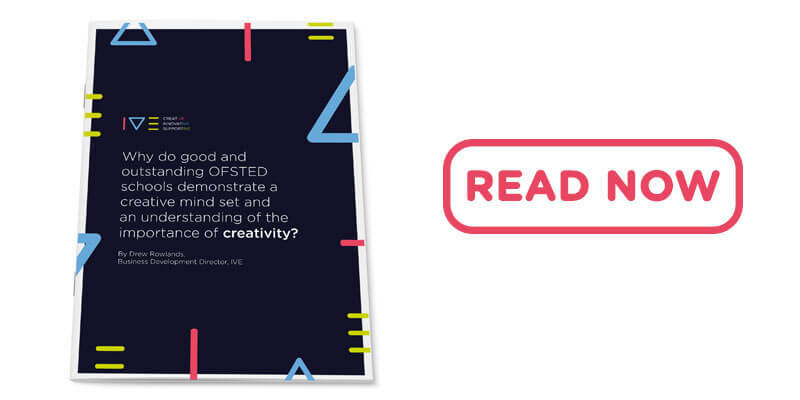 In this report, we outline why schools that wish to be outstanding need to include creativity as a central pillar of vision for development,and teaching for creativity as an underpinning technique in their approach to pedagogy.